How to Write a Cheque in Bandhan Bank ? Home / Banking / How to Write a Cheque in Bandhan Bank ? Write a Cheque in Bandhan Bank : Bandhan Bank is a well known bank in India and it provides all its account holders with a number of banking options and facilities. One of the most important one is a Cheque Book. When are fill up an Account Opening form in Bandhan Bank i.e., while you open a new account in Bandhan Bank, you have the option to apply for a cheque book. If you didn’t opt for a cheque book while opening the account, you can also apply for it anytime later. As we all know that a Cheque is a really important document which is issued by a bank and is a medium to pay money from the account of one person/entity to another person/entity. A cheque is known to be one of the safest modes of making payment. There are many types of Cheques but the most commonly used Cheques are Self Cheques, Account Payee Cheques, and Cancelled Cheques. How to Write a Self Cheque in Bandhan Bank ? How to Write an Account Payee Cheque in Bandhan Bank ? How to Write a Cancelled Cheque in Bandhan Bank ? A Self Cheque in Bandhan Bank is a cheque that has Self or Yourself or Account Holder’s Name written over it by the account holder. This cheque can be used only by the Account Holder to do a cash withdrawal from his account. This type of cheque is often used as an alternative to an Debit card. An Account Payee Cheque in Bandhan Bank is the one that when you draw two parallel lines on the top left corner of the cheque and write the words “Account Payee” in between those two parallel lines. Some of the people also write the words “A/C payee”. Always remember that while crossing a cheque, the funds can reach only the bank account of that specific person, and cannot be encashed at a cash counter of a branch. A Cancelled Cheque in Bandhan Bank is a type of cheque that is crossed with the word “Cancelled” written over it. Except this, you are not needed to write anything else on the cheque. Once you cross the cheque and write the word Cancelled over it, nobody can use the cheque. However, this cheque is mainly used for providing the account number, cheque number and MICR code to whosoever concerned. KYC Documentation for investments like mutual funds, stock investments, etc. ECS – Electronic clearance service (ECS). To complete the process of assigning EMIs for different types of loans like home loans, car loans, education loans etc. the bank/company usually asks for a cancelled cheque. You might have seen it is quite easy to write a cheque in Bandhan Bank. We have mentioned the ways to write Self, Account Payee and Cancelled Cheque in Bandhan Bank. Still, if you think you know the method to write any specific type of Cheque, you can tell the same in the comments below. Previous How to Write a Cheque in IDFC Bank ? Next How to Write a Cheque in IndusInd Bank ? 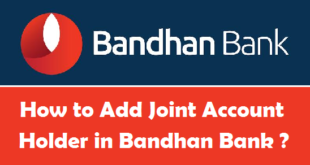 How to Add Joint Account Holder in Bandhan Bank ? 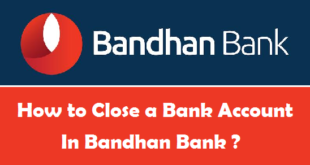 How to Close a Bank Account in Bandhan Bank ? 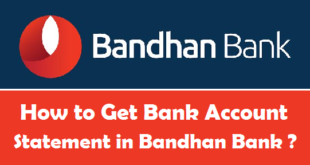 How to Get Bank Account Statement in Bandhan Bank ? 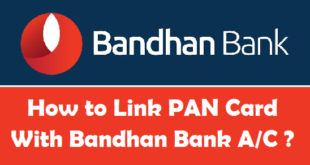 How to link PAN Card with Bandhan Bank Account ? 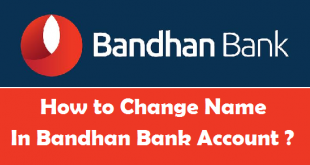 How to Change Name in Bandhan Bank Account ? How to Link Aadhaar Card to Bandhan Bank Account ? 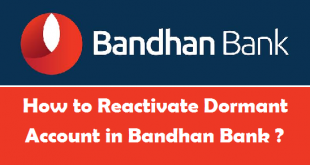 How to Reactivate Dormant Account in Bandhan Bank ?